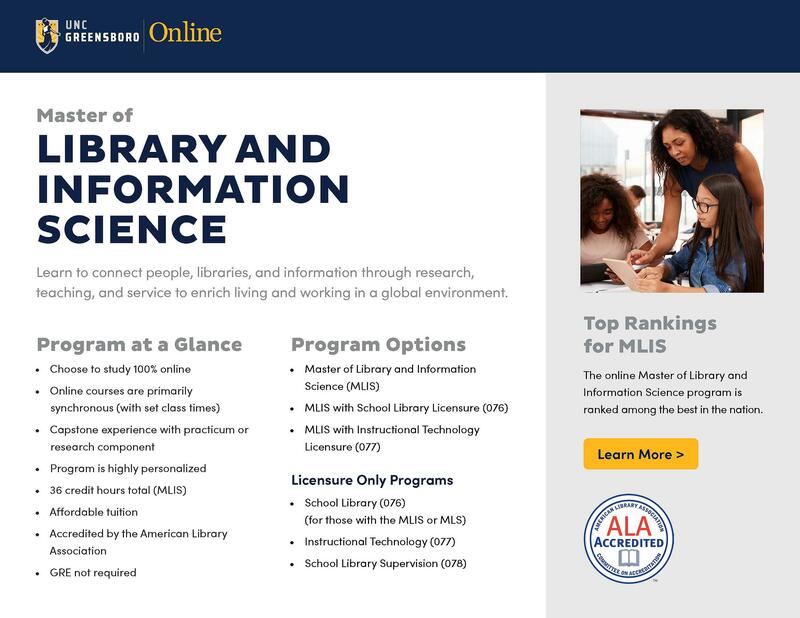 The online Master of Library and Information Studies (MLIS) is an intellectually rich, community-centered, and hands-on program for library and information education, innovation and service. Today's MLIS students have the opportunity to specialize and work in Academic, Public, School, Special, and Information professions—as well as corporate and nonprofit organizations locally, nationally and internationally. Ready for a closer look at the Master of Library and Information Studies? Our brochure provides complete program details, admission deadlines, start dates and graduation requirements.